Saturday, Feb. 16, 2019, 7 – 8:15 p.m.
As Tracker follows the boy's scent he starts to wonder: Who, really, is this boy? Why has he been missing for so long? Why do so many people want to keep Tracker from finding him? Drawing from African history and mythology and his own rich imagination, James has written a novel unlike anything that's come before it: a saga of breathtaking adventure that's also an ambitious, involving read. 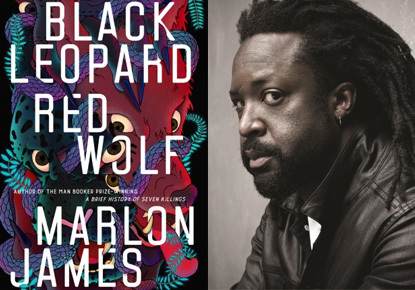 Marlon James is the author of the New York Times bestseller A Brief History of Seven Killings, The Book of Night Women, and John Crow's Devil. A Brief History of Seven Killings won the Man Booker Prize, the American Book Award, and the Anisfield-Wolf Award for Fiction, and was a finalist for the National Book Critics Circle Award. The Book of Night Women won the Minnesota Book Award and was a finalist for the National Book Critics Circle Award, as well as the NAACP Image Award. A professor at Macalester College in St. Paul, James divides his time between Minnesota and New York.